The AE Custom Field plugin was removed from our store. AE Custom Fields is an extension which provides admin to create a more specific posting form. Admin can add more fields to the form for more information. Downloading and activating AE Custom Fields on your DirectoryEngine, FreelanceEngine, DinningEngine, and EstateEngine. There are two ways for you to install AE Custom Fields: Automatic plugin installation and Manual plugin installation. 1. 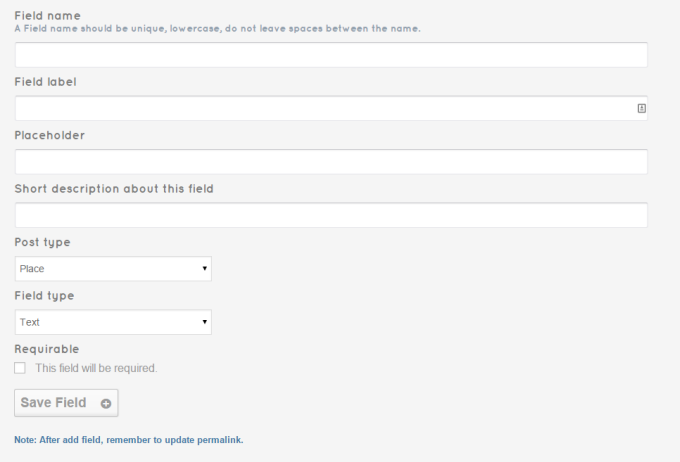 Download AE Custom Fields from your EngineThemes account. 2. Go to Plugins > Add new > Upload > Choose AE Custom Fields and upload it. 1. 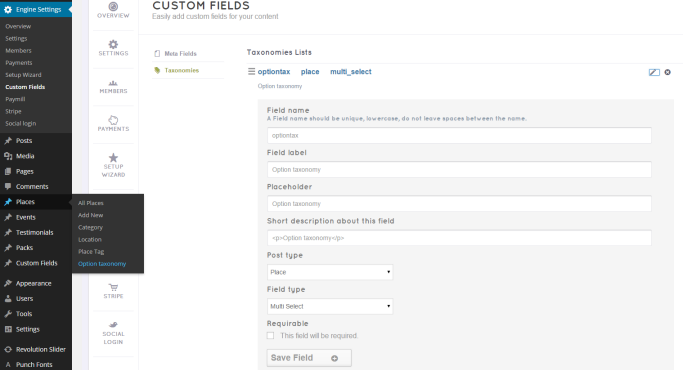 After purchasing AE Custom Fields, download it from your EngineThemes account. 3. Activate the plugin in “ Plugins” tab in the back-end. - Meta fields: this field allows admin to choose 2 different types for customers to insert values: Text, Textarea. If you want to allow your customers to choose more than one option, you should choose the Checkbox type or Multiselect type. In contrary, you should choose the Select type or Radio type. - Choose Engine settings > Custom fields > then fill all the empty fields. The required information is similar to the two tabs: Meta fields and Taxonomies. Click on it and you can start input the value. Fill in the required section and click "Add new category".